For those of you who aren’t following me and the hubs on our pregnancy blog, we found out this week that our little baby is a BOY! His name is Dax Arthur and we love him so much already it hurts, so this week’s TILT is appropriately all about him. Check out our little man, currently spending his days rolling around in my belly! Are those cheeks not the cutest little cheeks you’ve ever seen? And that NOSE! How are you not swooning already? Ladies? Bottom line? I’ll take fart jokes and little league over… what is it that girls do? Good Lord, I don’t even know. Playing with non-pink My Little Ponies? Dax, your mommy and daddy love you so much! We can’t wait to meet you and play with you! What do you love this week? Is it my kid? I wouldn’t blame you if it was. He’s pretty great! Ha . . .I can attest and I bet your mom is with me on this one that girls are NOT easier than boys. But they are both loved equally by the moms who have the lucky enough to have the chance to rear both. Sorry, changed my thought and it should read moms who are lucky enough . . . .
Firstly, loving my mom’s comment about being terrible to raise (haha. I probably was. Love you mom!). Secondly, YES. THINGS I LOVE THIS THURSDAY IS DEFINITELY DAX ARTHUR. I did NOT say terrible . . . .love you and Dax and Lindsay and Dan. . and Christ . . . .
Love it!! I’m not sure exactly how I’m going to raise Briley, but I figured I was pretty boy-ish and I turned out alright, so I’ll just do the same things my mom did with me, or rather the tom boy things I chose 😉 I guess we will see. yep! and somehow, we both ended up in a sorority? WHAT? how? hahaha. I agree with Denise! Boys and girls are equally hard to raise, just different is all. And the thing I love the most this week and forever more is DAX!!! They say that your grandkids are even more enjoyable than your kids. 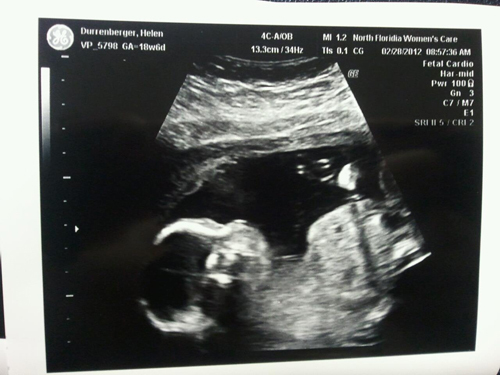 I can’t wait to meet his cute self!!! aren’t you just in love with those little cheeks?!?! Super fun and joyful post! As we are expecting our second boy, I can say, boys are awesome! I do wish I had a girl to put a purple tu-tu on..but that’s me. Love the name Dax. Enjoy the time as you prepare to meet your little guy. They melt your heart daily. I just did a post on the joy my son, Micah, brings us. Yay for baby Dax, and taking on the challenge of raising boys. (I’m excited to find out if we’ll be in the same boat come my due date in April.) And don’t think you’re completely off the hook when it comes to teaching about “girliness”…he’s going to learn what it means to be a REAL woman from YOU and learn how to treat other amazing women (you included) when he finds one, from Dan. You guys are going to be an awesome team! !